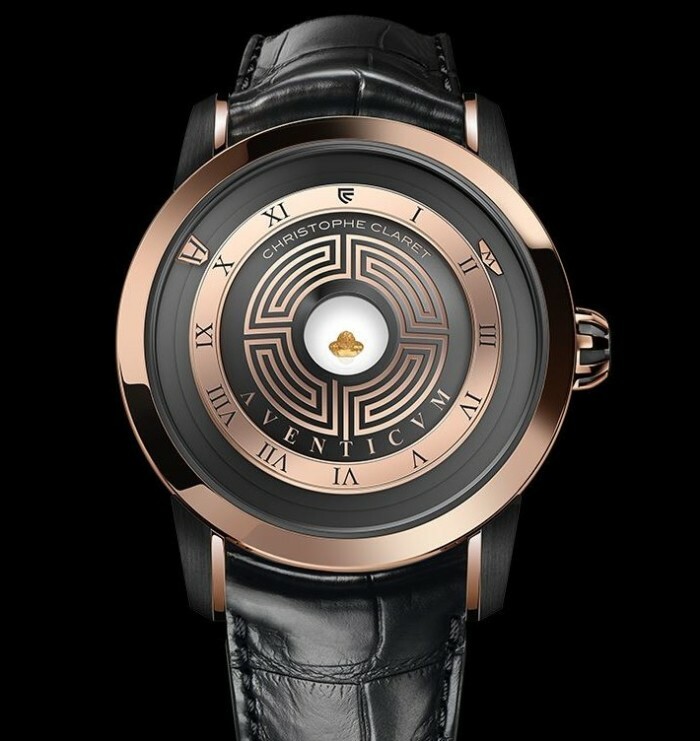 The Christophe Claret Aventicum, introduced by the Swiss watchmaker at the recent concluded 2015 SIHH is a unique timepiece that showcase extraordinary technology, design and craftsmanship. 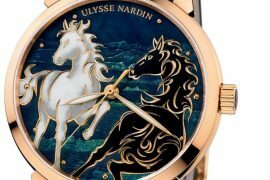 A limited edition, the watch features a design inspired by the gold bust of Roman emperor Marcus Aurelius found at Avenches, Switzerland in 1939 during cleaning of an old pipe. The Aventicum is also one of the handful of luxury watches ever made to celebrate the Roman Empire. 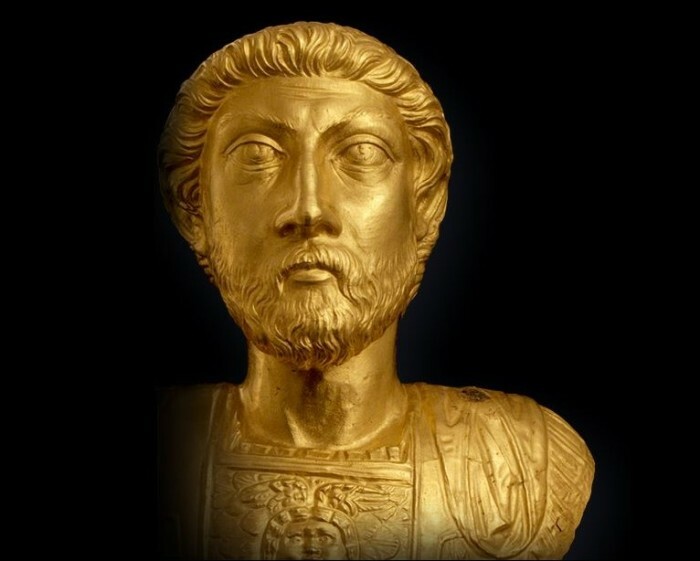 Made from gold, the micro-engraved gold bust of Aurelius at the center of dial is very small, in fact less than 3 mm in height. Nevertheless from outside it looks larger than it actually is and with a 3D effect. Christophe Claret used a method called mirascope optics, sounds complicated but it’s actually two parabolic mirrors that makes the magic work. The small bust sits on the center of lower parabolic mirror, right below the top mirror with an opening. The bust is converted to a 3D image by the deflecting reflection, which gives the illusion of a true larger object pushing out of the middle of the dial. Something you are not going to see on the dial – hour and minute hands. They are replaced by two circling markers – “H” for hours and “M” for minutes, placed outside of the main dial. 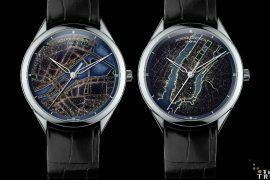 The Roman-themed watch aptly comes with Roman numeral indicators. 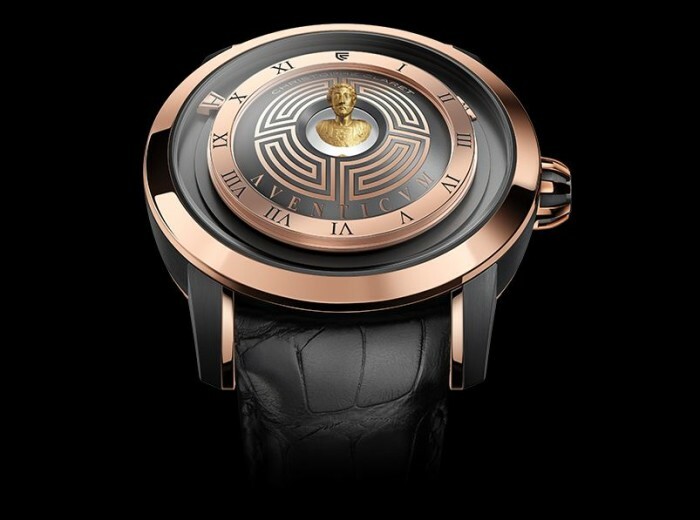 The dial also features a labyrinthine motif, the Roman Empire used them on their streets and above their doors and believed they provide protection – Christophe Claret perhaps believe it would provide the same protection to Aurelius gold bust. 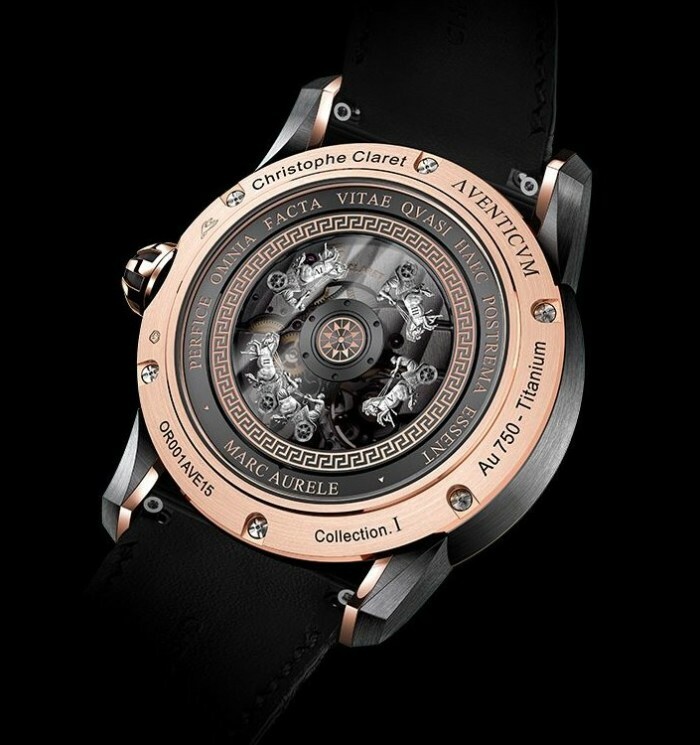 The Christophe Claret Aventicum is powered by the in-house made AVE15 automatic movement with a 28,800 pvh frequency and 72 hours of power reserve. 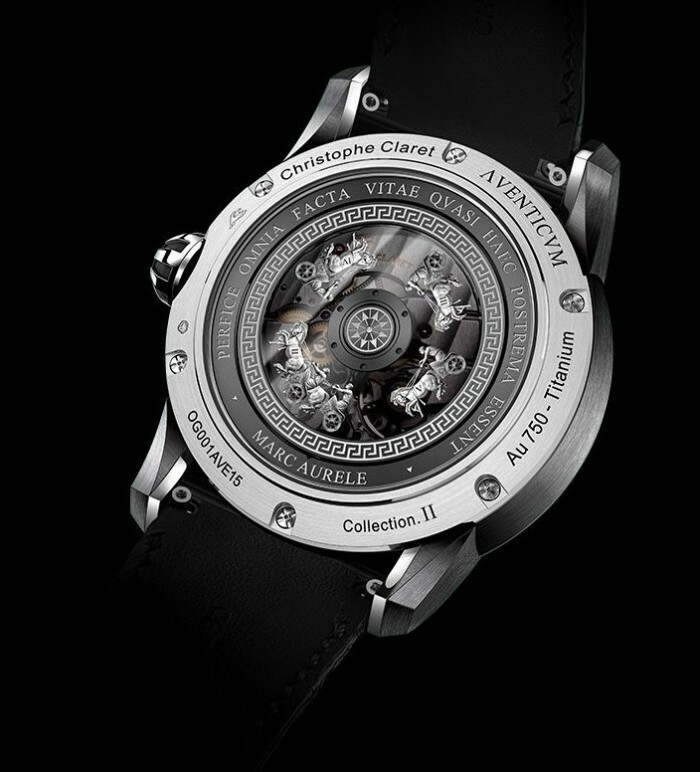 The movement and its “mystery” winding rotor is visible from the caseback. The rotor made from sapphire crystal feature five “metalized” Roman chariots in competition that move around with the rotor. The caseback also has the Latin phrase, a quote of Aurelius “Perfice omnia facta vitae quasi haec postrema essent” (meaning “To carry out all deeds of life, as though these were the last”) engraved into it. The limited edition Christophe Claret Aventicum is available in two versions. First version limited 68 pieces in 18 karat red gold and Grade 5 titanium with a price tag of CHF49,000 (about $53,000). 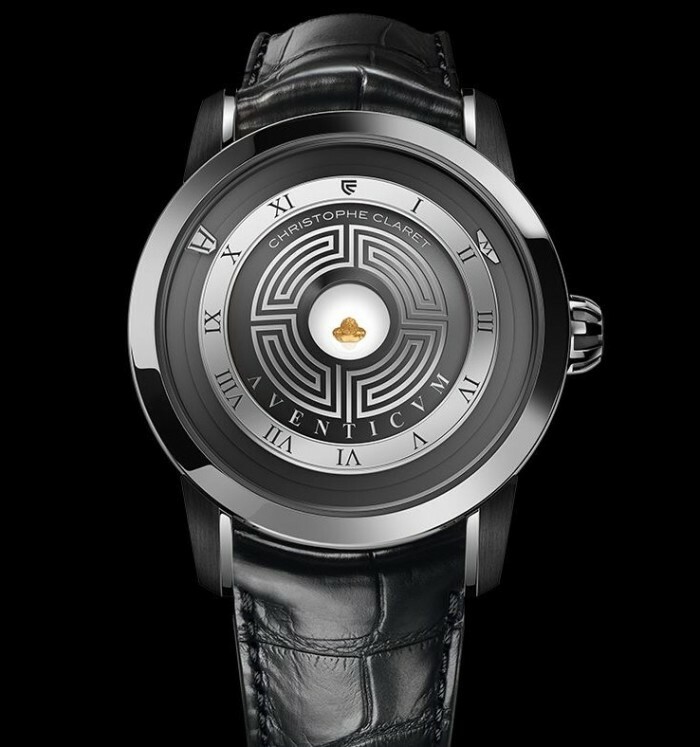 Second version limited to 38 pieces in 18 karat white gold and grade 5 titanium priced at CHF53,000 (about $57,000). Check them out at christopheclaret.com.